Delighted that the Children with Cancer Fund based at Polegate and the Salvation Army from Eastbourne will both run a day each, Thursday 18 April and Wednesday 8 May respectively, making a total of 23 charities involved in running the walk and providing food for our visitors. 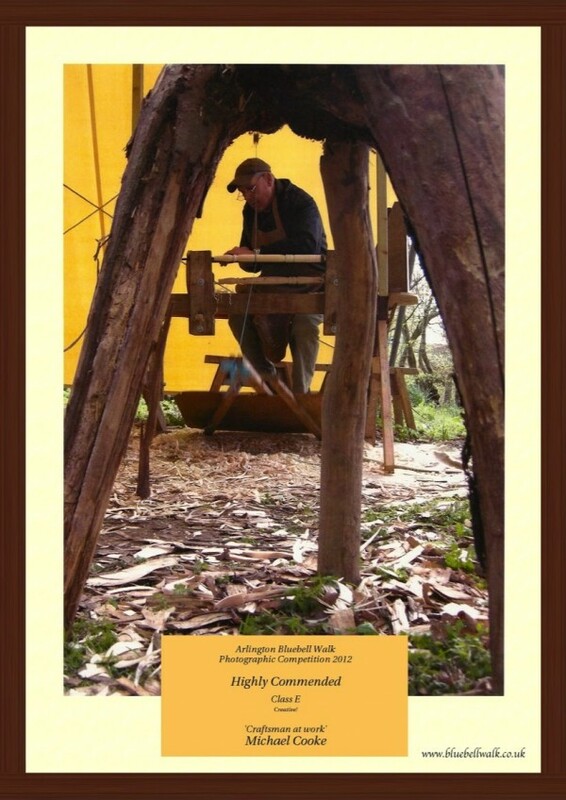 My brother, Henry McCutchan, is the Bodger who for many years had his tent and equipment making chair legs and suchlike, situated behind the Gate House. 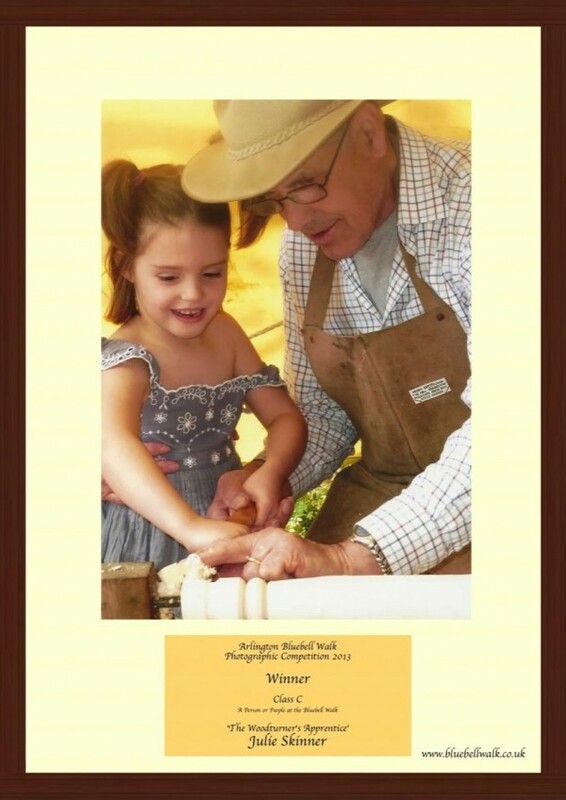 His easy manner and willingness to share his skills with young and old, will be missed by our visitors, and sorry that this ancient craft will not now be shown. Thank you, Henry, for adding such a unique asset to the Bluebell Walk. 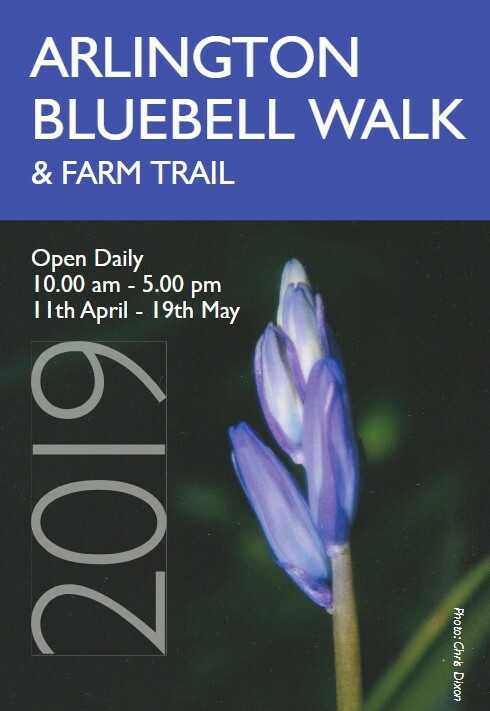 This is now available to print off from the website or we would be most grateful if anyone would like to help us with our publicity by distributing copies of the leaflet or the A5 poster. If so, please email john@bluebellwalk.co.uk with address details and I will post as many copies as you need. Tim Church, who I have relied on for many years to give advice on our on-line presence and the content of www.bluebellwalk.co.uk to ensure that it merits a top space on the Search Engines, is currently working in conjunction with Worldwide Webdesign Ltd based in Eastbourne to add a form to the website, so that entries for our Photographic Competition can be submitted on-line. This is quite a significant step forward as, since we started the Competition in 2010, we have only allowed entries to be sent as prints. Now, following the BBC Countryfile’s example, we will now accept entries in both formats, but I don’t expect to reach Countryfile’s entry numbers of 30,000! Tree surgeons have reduced the shade on our avenue of young oaks from the overhanging branches of the adjacent mature trees (see photo). The avenue is growing so well, that our Arborist Consultant recommended that we start to remove some of the weaker ones, thus allowing the strong ones to develop to their full potential. This process will continue for the next few years, as initially they were planted quite close to each other, so that alternative ones were removed, as their crowns started to encroach with each other. 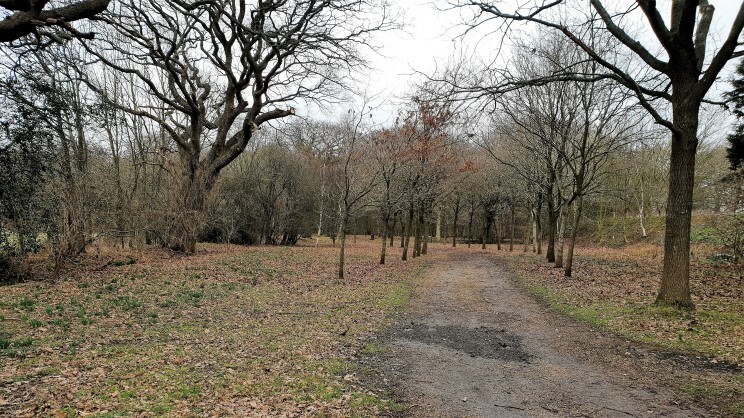 I compared photos in the blog written at the end of January 2018, in which they showed many of the daffodils in bloom and bluebell leaves emerging quickly; this year there are very few daffodil blooms and barely a trace of bluebell leaves in Beatons Wood. When we set the dates we will be open we have no idea whether Spring will be early or late, so with the current cold weather and state of growth of the bluebells, I trust that by opening on Thursday 11th April we will be seeing those vistas of white wood anemones with the odd bluebell, then the bluebells developing to their full potential until Sunday 19thMay. The weather will decide whether this all works out!